Masami Tsuruoka was born on January 12, 1929 in Cumberland, British Columbia, Ontario, Canada. He was a Japanese Canadian karate instructor and practitioner and he was recognized as “The Father of Canadian Karate” by Black Belt Magazine. Masami Tsuruoka was responsible for establishing the Chito-ryu style in Canada. He also founded his own style known as Tsuruoka Ryu. From 1958 to 1968, Masami Tsuruoka promoted Chito-ryu karate throughout Canada by writing newspaper articles, magazine articles, and by doing public demonstrations and exhibitions across Canada. Tsuruoka formed the National Karate Association of Canada, currently called Karate Canada, in 1964 and then followed it with the Tsuruoka Karate-do Federation in 1979. Tsuruoka was appointed a member of the Order of Ontario in 1998 for his significant contribution to martial arts. Masami Tsuruoka’s family was placed in Internment Camps during World War II and after the end of the War, Tsuruoka and his father moved to Kumamoto, Japan. At the age of seventeen Masami Tsuruoka began the study of Chito-ryu karate in Kumamoto, Japan, under Dr. Tsuyoshi Chitose. He received his first degree black belt at age twenty. In the evenings he was studying Judo, earning his Shodan. After continuing his study and receiving his third degree black belt from Dr. Chitose, Masami Tsuruoka, he moved back to Canada in 1956. When Tsuruoka began studying with Chitose, karate was at a turning point between the old ways of Okinawa and the new ways of post-war Japan. Masami Tsuruoka was one of the first students of the Chito-ryu group that would help reshape modern karate. Masami Tsuruoka taught judo until in 1957 he began teaching karate in a small gym on Danforth Avenue in Toronto, Canada. His school continued to grow and in 1958 he rented an ols bowling alley on Queen Street and there he established the very first karate dojo in Canada. In 1962 Masami Tsuruoka accomplishements were recognized by Tsuyoshi Chitose and he appointed him as Chief Representative of Chito-ryu karate in Canada. As part of his efforts to promote Chito-ryu karate in Canada, in 1967 Masami Tsuruoka invited Dr. Chitose and Mamoru Yamamoto, who will later be noted as founder of Yoshukai Karate, along with some of his students including Mike Foster, to Canada. There they conducted demonstrations, a clinic, and presided over the Canadian National Karate Association tournament. The event was held at the Japanese Canadian Cultural Centre’s Nisei Karate Club. During the occupation of Japan, a number of American service personnel had trained at the Yoseikan Chito-ryu ‘hombu dojo’ (headquarters) in Kumamoto. In the early sixties Tsuruoka contacted these former students in an effort to expand the Chito-ryu karate organization in North America. One of the former students was Bill Dometrich of Kentucky, who traveled to Canada to train with Tsuruoka. Dometrich was eventually appointed the Chief Representative of Chito-ryu karate in the United States. In 1962 Tsuruoka organized the first karate tournament in Canada, “The First Canadian Karate Open Championship.” Also in 1962 Masami Tsuruoka began teaching karate at the University of Toronto, and there they created the first university karate club in Canada. 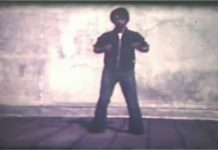 He also held the first summer camp called Kamp Kamikaze in northeastern Ontario which was open to all styles of karate. In 1964 Masami Tsuruoka founded the National Karate Association of Canada (NKA) and served as its first president. In 1967 the first inter-university karate tournament was held between Ontario universities, with the University of Toronto team winning the championship. As Chito-ryu became better established in Canada, Masami Tsuruoka became a sought after official for international tournaments and was asked to do demonstrations. On November 16, 1973 in Rio de Janeiro, Brazil, the Pan-American Karate Union elected Masami Tsuruoka first Vice-President. 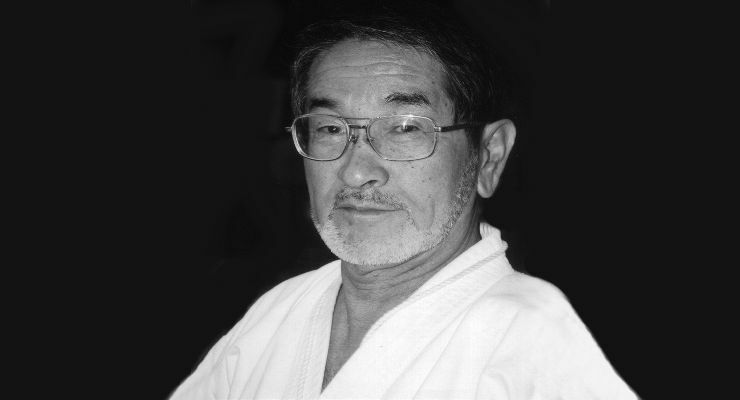 In 1979, Masami Tsuruoka stepped down from his position as director of the Canadian Chito-kai, and with the help of his chief technical director, Ron Fagan, he founded his own organization, the Tsuruoka Karate-do Federation. 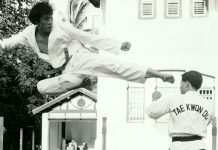 His former senior student, Shane Higashi, assumed leadership of the Canadian Chito-kai (Chito-ryu Karate Association). On Wednesday, May 27, 1998, Master Tsuruoka was given a great honor when he received the Order of Ontario presented by the Lieutenant Governor of Ontario, the Honourable Hilary Weston. On May 13, 2006, Masami Tsuruoka received his 10th-Dan rank, awarded by the National Karate Association. Tsuruoka Karate is named for it founder O-Sensei Masami Tsuruoka, 10th Dan. 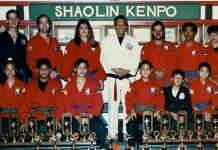 Its foundation is based in Chito-Ryu and Shotokan karate and it blends other effective techniques from many martial arts. O’Sensei Masami Tsuruoka, the Father of Karate in Canada, passed away on October 10, 2014 at the Trillium Hospital in Mississauga (ON). He was 85 years old. Masami Tsuruoka was the first person to teach organized karate in Canada starting in 1957. Bruce Lee wrote to Masami Tsuruoka asking about how to open a school of martial arts in the mid 1960’s. Masami Tsuruoka ran the very first karate tournament in North America in 1962. Masami Tsuruoka was the person who organized karate in all of Canada by starting the National Karate Association . Masami Tsuruoka legendary tournament at the Canadian National Exhibition Stadium and Varsity arena were the only real quality tournaments in Canada in the 1960’s. Masami Tsuruoka and Park Jong Soo had a deep mutual respect and they dined together at the 3rd Canadian Black Belt Hall of Fame in Hamilton. It was always Sensei Tsuruoka who invited Master Park to join him. They had a great time talking and laughing. Masami Tsuruoka taught the nucleus of instructors that grew karate in Canada names like Shane Higashi, Andre Langelier, Monty Guest, Benny Allen, Quay Wong, David Chong, Fern Cleroux, George Sylvain, Tug Wilson, Dr. Ned Paige, his son David Tsuruoka, Billy Carr, Ted Jungblut and the list goes on and on. In his later years Masami Tsuruoka developed several important body mechanical principles for Karate. 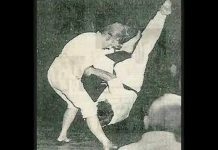 Masami Tsuruoka once did a flying side kick over a car in Hamilton where he had a school and taught for John Mills. Masami Tsuruoka first school in Toronto was at Mac Myas weight lifting gym in 1957. Masami Tsuruoka wife Kei is an accomplished martial artist as well. Right up to the end his strong belief in Basics and the beginners mind were Masami Tsuruoka forte. Masami Tsuruoka has a trophy named after him at the CBBHoF it is called the Masami Tsuruoka Life Time Achievement Award. This has been won by Kei Tsuruoka, Wally SLOCKI, Fern Cleroux and Monty Guest. 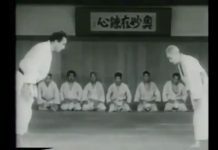 Masami Tsuruoka breaking skills of bricks and boards is legendary for such a small guy a true testament to true Japanese karate Power. Masami Tsuruoka was a very strong advocate of the Canadian Black belt Hall of Fame and supported it every chance he could. Masami Tsuruoka did a full two hour interview on tape for Rising a Sun Productions which has never been seen. Masami Tsuruoka was training right up to the end doing seminars across Canada. Canada under Masami Tsuruoka guidance was one of the first members of World Union of Karate Organizations. Masami Tsuruoka was truly a nice man, quality martial artist and dedicated to his art. With deepest sympathies, KAO regrets to inform you that O’ Sensei Masami Tsuruoka has passed away on October 10, 2014 at Mississauga, ON. He was 85 years old. 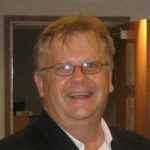 Don Warrener is highly respected in the martial arts and is the President of Rising Sun Productions. He has written over 300 articles for every magazines all over the world. He has also written seven books in total and co-authored another six. 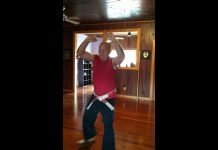 He has written numerous martial arts books on individuals, katas, interviews with masters.